Juanita Johnson-Bailey, professor and director of the Institute for Women’s Studies, has been named University Professor, an honor bestowed on faculty members who have made a significant impact on the University of Georgia beyond their normal academic responsibilities. Johnson-Bailey is a Josiah Meigs Distinguished Teaching Professor of Lifelong Education, Administration and Policy in the College of Education, in addition to her appointment to the institute. increase in the enrollment of African-American women doctoral students in her department’s graduate program. In 2006, she co-founded and convened the university’s first conference on diversity issues in higher education. She has served as major professor for 30 Ph.D. students, many of whom now hold academic and leadership positions in higher education. Libby Morris, the Zell B. Miller Distinguished Professor of Higher Education and director of the Institute of Higher Education, described Johnson-Bailey as a change-agent whose research, instruction and service has had a significant impact on the university community. “She has routinely answered the call to make a difference,” Morris wrote in her nomination letter. Johnson-Bailey also has contributed greatly to the development of the Women’s Studies curriculum, developing undergraduate and graduate courses that have broadened perspectives on women in units across campus. Her research has been published in more than 100 books, book chapters, journal articles and magazine articles. Her acclaimed book, Sistahs in College: Making A Way Out of No Way, was awarded the 2001 Frandson Award for Outstanding Literature from the University Continuing Education Association and the Sadie T. Mossell Alexander Award for Outstanding Scholarship in Black Women’s Studies. 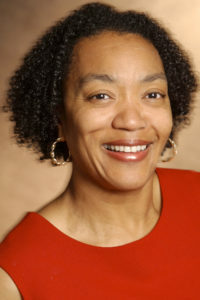 In addition to holding the title of Meigs Distinguished Teaching Professor, the university’s highest recognition for excellence in instruction, Johnson-Bailey was named the recipient of the Students of African Descent Outstanding Faculty Service Award, the College of Education’s Carl Glickman Faculty Fellow Award and the Graduate School’s Outstanding Mentoring Award. She received the Eleanor Roosevelt Fund Award from the American Association of University Women in 2015, and she was named to the International Adult and Continuing Education Hall of Fame in 2009. University Professors receive a permanent salary increase of $10,000 and a yearly academic support account of $5,000. Nominations from the deans of UGA’s schools and colleges are reviewed by a committee, which makes a recommendation to the provost. To learn more about University Professorships and for a list of past recipients, see https://bit.ly/2uc9dxD.